When Elizabeth Strohfus looked into the sky above her hometown of Faribault, Minn., during the height of the Great Depression, she saw a future that didn't involve working at the city clerk's office and struggling in poverty. She saw the clouds and the open air, and she wanted to be up there. "It began as a young gal trying to climb as high as I could," she said. "I had that feeling that I wanted to get higher." Strohfus went to the bank, and took out $100 to join a local flying club. She left behind her bicycle as collateral, and headed into the air. 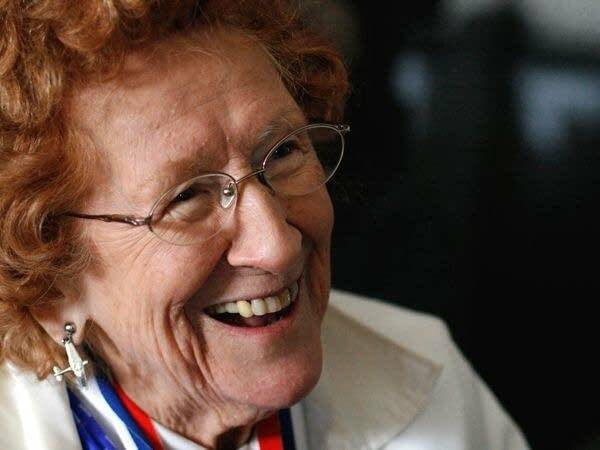 After the Japanese bombed Pearl Harbor, she quit her job and signed up for the newly formed Women Air Force Service Pilots, where she became one of the first women in the United States to fly military planes. The story of these women, known as WASPs, remains largely unknown. They flew the biggest bomber planes. One of the planes they flew, the Martin B-26 Marauder, was so dangerous that it became known as "The Widowmaker." They even attached a long piece of canvas to the back of their planes to allow men to practice hitting targets -- with live ammunition. A famous female pilot, Jackie Cochran, spearheaded the effort. The military agreed to create the program in 1942, when they realized it would free up male pilots to go to war. The WASPs flew in the United States, since Congress refused to send them into combat or recognize them as official members of the military. Last month, President Obama signed a bill to give the WASPs the Congressional Gold Medal, the highest award for civilians. President Carter had previously granted the WASPs veteran status. Pistol Packin' Mama Courtesy of the United States Air Force Museum. Strohfus and another Minnesota WASP, Mildred "Micky" Axton, will travel to Washington DC in a few months to receive their medals. Sixty-seven years ago, Axton and Strohfus loaded up their suitcases, unsure of when they would return, and headed for Avenger Field in Sweetwater, Texas. About 25,000 women applied for the program, and 1,800 were chosen. Axton, 90, recounted her story on a recent afternoon at her Eden Prairie apartment, her walls covered with framed WASP-era photos, her carpeted floor blanketed with cardboard placards pasted with war memorabilia. Unlike Strohfus, Axton had graduated from college with degrees in math and science. 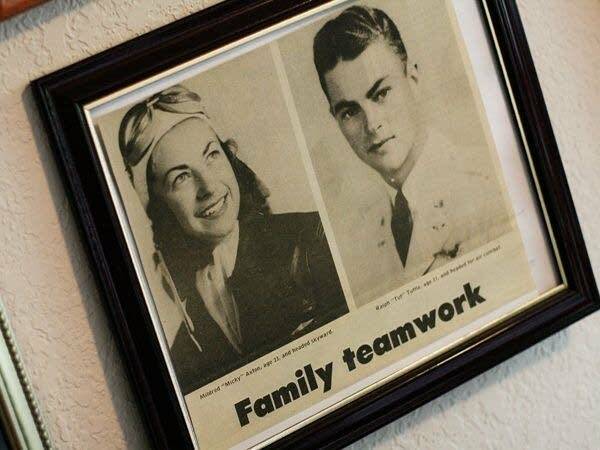 She vividly remembers her first flight as a licensed pilot in Coffeyville, Kan. Her great-grandmother insisted on being her first passenger. "She said, 'Tip it over, Micky, so I can see better,'" Axton said, laughing. "I said, 'If I do that, we'll get killed.' That settled that." When her brother left to fight in the Pacific front, Axton felt like she couldn't stay home. "There was no way to keep me from going," she said. Axton and Strohfus left for Texas, where they lived in military barracks and wore uniforms discarded by male pilots. "They were big," Strophus, 89, remembered. "Yank 'em up, roll up 'em, we didn't care. We wanted to fly airplanes." The heat was sometimes unbearable. One night, Axton and her roommates decided to escape the stuffy barracks and sleep outside, but they quickly returned to the barracks after encountering a rattlesnake. There were many close calls in the air. The WASPs acted as test pilots for aircraft that had been repaired after being damaged in combat. It was a job that didn't have many male volunteers, but the WASPs agreed to take on any job that allowed them to fly. Axton told a story of a time she was flying a repaired twin-engine B-25 bomber, with a male co-pilot who sat behind her. "We took off and it didn't act right," she said. "I knew it was trouble, and I called the tower and told them I had to bring it in." The engine was quickly failing, and ambulances rushed to the scene. The male pilot started crying. "He thought he was going to get killed," she said. Axton managed to bring the plane in. "I was a little shook up, but I was tickled to pieces that I brought it in and didn't hurt anything. It was a nice landing." Her co-pilot did not share Axton's glee. He was removed from the plane by a medical team and carried away in an ambulance, sobbing. The military knew that the WASPs would fly any plane, but male pilots had preferences. Rumors circulated about the dangers of certain planes, and the military asked the WASPs to shame the men into flying them. If a woman could fly a particular plane, the thinking went, so could a man. This was how Strohfus ended up flying a "Widowmaker," the B-26. The heavy plane had a short wingspan, which required pilots to land the plane at a dangerously fast speed. "Taking off or landing it was pretty iffy," Strohfus said. "So you had to be careful. You could crash very easily, but I thought it was great. Once you got it in the sky, it was a great plane to fly." In between flying, the WASPs cultivated a unique culture, complete with their own mascot named Fifi, a female cartoon character sporting wings and blue flight goggles. On their way to the runway, the WASPs marched through the barracks, singing. "We are Yankee Doodle Pilots, Yankee Doodle, do or die! Real, live nieces of our Uncle Sam, born with a yearning to fly. Keep in step to all our classes, March to flight line with our pals. Yankee Doodle came to Texas just to fly the PTs! We are those Yankee Doodle Gals." But the mood was not always so upbeat. One night, Axton stood next to the runway, getting ready to fly, when she looked up into the sky, just in time to see a plane descend rapidly and crash a few hundred feet in front of her. Several of the WASPs started to cry, but they were ordered to fly that night, or else leave the program. "We saw it happen," Axton said. "We were right there waiting to fly. Can you imagine?" The pilot who died that night was one of 38 WASPs killed while flying. Another was Axton's close friend and roommate, Gertrude Tompkins-Silver. She took off in a P-51 fighter and crashed into the Santa Monica Bay in California. Her body was never recovered. When WASPs died, the military refused to pay to send their bodies home, or provide a military funeral. Instead, the women took up collections for the families to cover the costs. "They never did get a proper burial," Axton said. "The families had to bury them themselves. That's how those men in Congress were then." 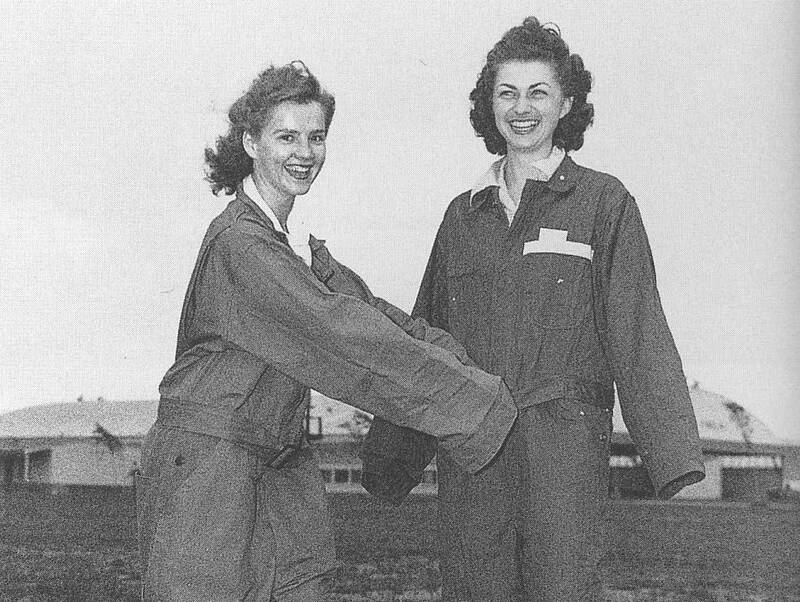 The military disbanded the WASP program in 1944, before the war ended, and sent the women home. Military officials said they had enough pilots, as fewer male pilots had died in combat than expected. 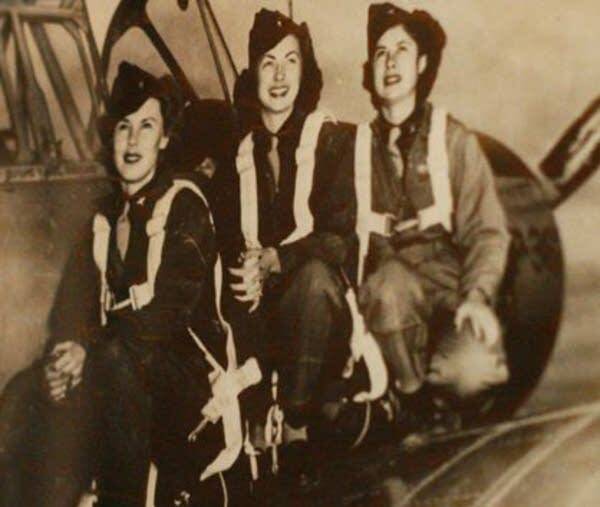 A letter sent to the WASPs said, in part, "You have freed male pilots for other work, but now the war situation has changed and the time has come when your volunteered services are no longer needed." Axton went on to have a successful career at Boeing, and eventually moved to Minnesota. The news hit Strohfus much harder. 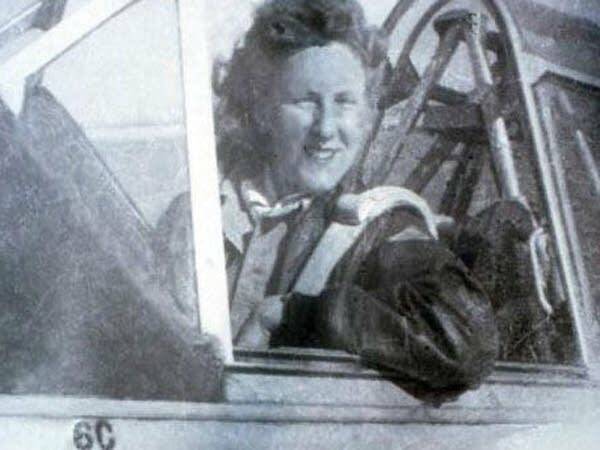 "When I got out, no one wanted a woman pilot," she said. "I went to Northwest Airlines and showed them my credentials. I had sea plane, I had a commercial rating, and I had 1,000 hours of flying time. They were very impressed. They surely would like me in their front office. I told 'em what they could do with their front office." The rejection stung. "I wanted so badly to be out flying that it kind of broke my heart, but that's OK, because that was the way it was." 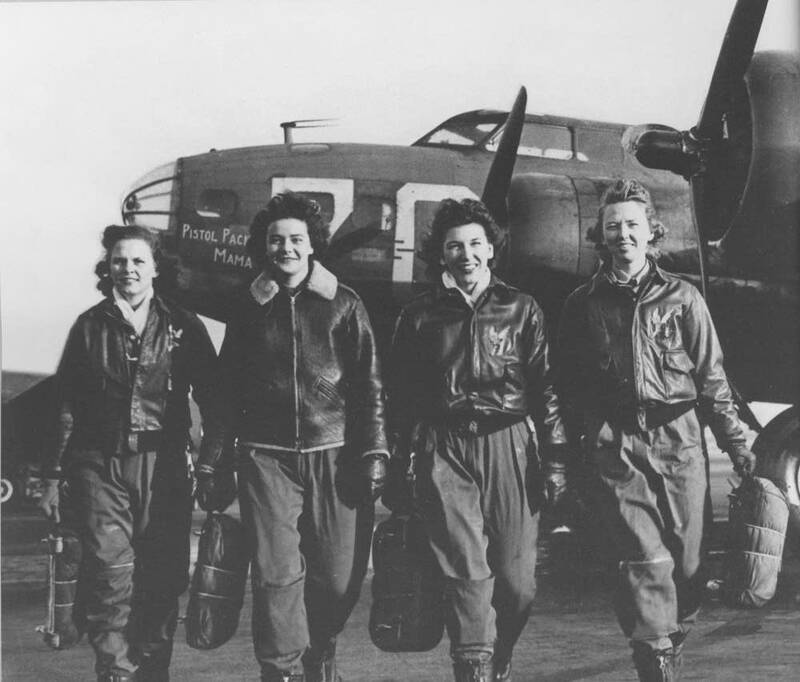 After the war, "nobody wanted to hear about women pilots," Strohfus said. "They didn't even know we existed. I had everything in my closet, my uniform, my pictures, my books. I told the kids, 'When I die, put it in my coffin.'" But when the Air Force allowed female pilots to start training in 1976, Strohfus started going to air shows and schools to tell her story. 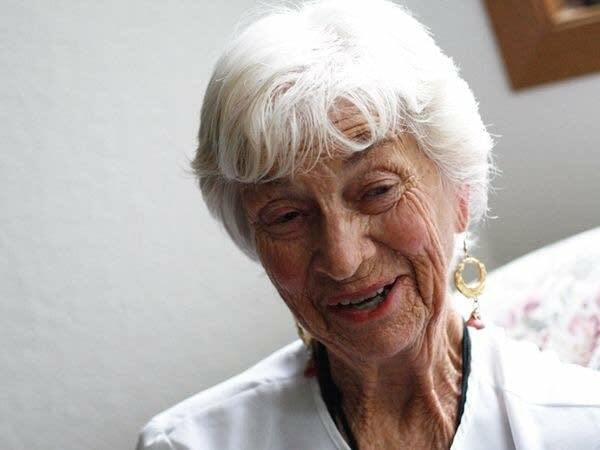 When she was 72 years old, she asked the military if she could fly the F-16 as a co-pilot. Her request was granted, and she flew with a male pilot over the skies of Duluth. She took over the controls mid-flight. "I said, 'I'll just do a gentle turn,'" she said. "I did 6 Gs. He said, 'Take it easy. I don't have a brown bag.' I said, 'You can take mine. I don't need it.'" Strohfus said she's glad to finally receive recognition for her achievements, but then she paused, grinned, and said, "The award is nice, but heck, I just like to fly airplanes."